Playoff beards are legendary. Hockey players have been growing them for decades. Hirsute heroes such as Mike Commodore and Paul Mara have inspired players in other professional sports to grow out their whiskers. “Mike Nap said, ‘You touch that one more time and we’re going to have to need a new DH,”’ Ortiz said. 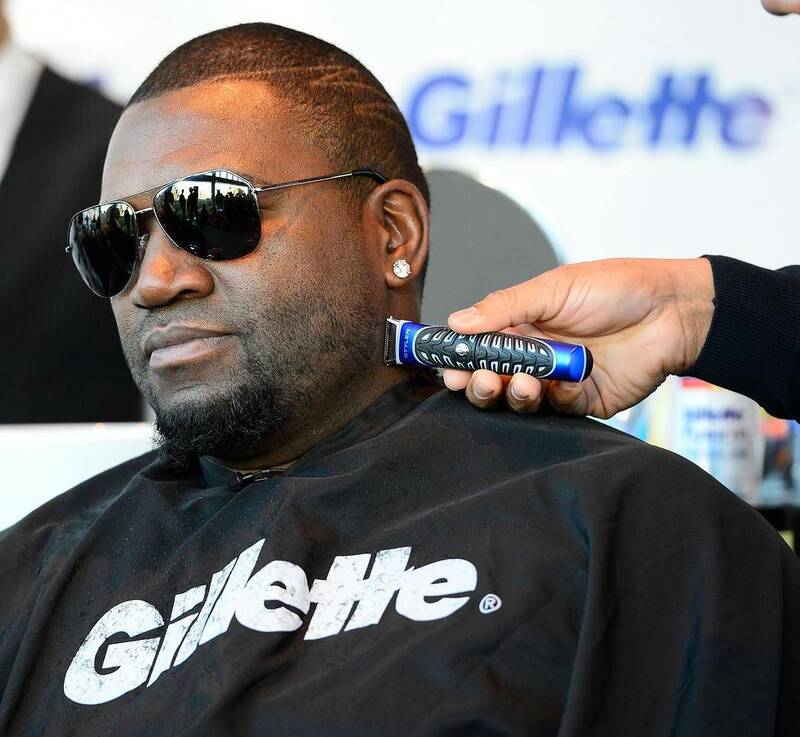 Ortiz and teammate Shane Victorino (who hit a seventh-inning grand slam Saturday in Game 6 of the ALCS) finally got to shave off those beards to raise money for victims of the Boston Marathon bombing at Gillette World Shaving Headquarters. The event raised $100,000 for The One Fund and victims of the bombing. “It’s an awesome city. It’s a city of resiliency. This city has a lot of pride in its athletes, a lot of pride in the city itself. I will always revert back to that day on April 15 and how this city came together as one to overcome a tragedy like that,” Victorino said. 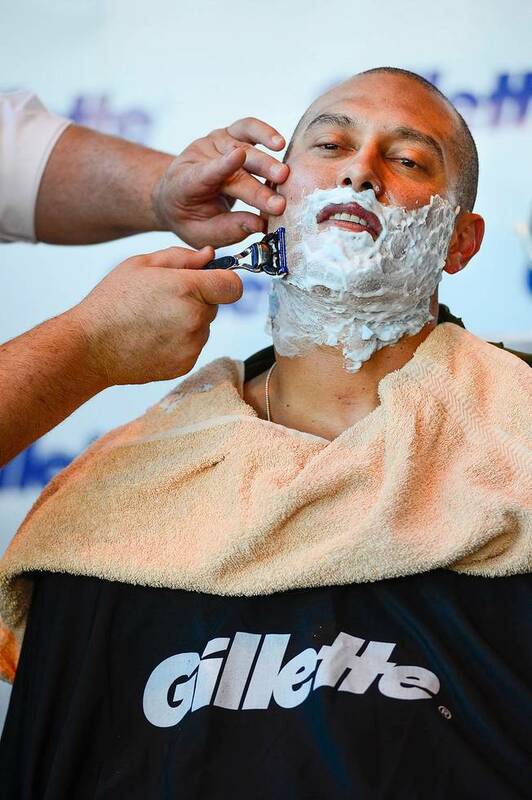 During the Shave-off, Ortiz and Victorino cracked jokes about their beards, but things got a bit more serious when Victorino realized that he was about to lose all of his facial hair. “It took me six months to grow this beard,” he complained. 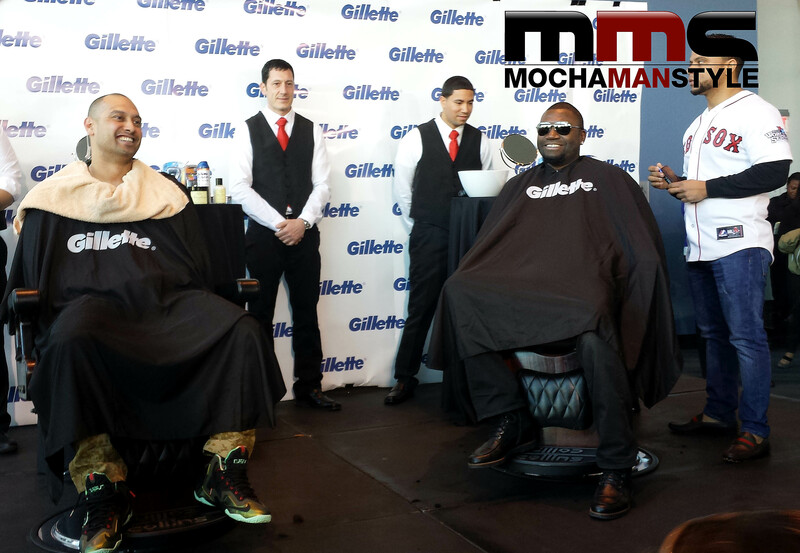 After a few minutes of lamenting the loss of his hair, Victorino agreed to let the barber do his job. “He’s a three-time champ and I’m a two-time champ, and he’s a little more tenured in the city than I am,” Victorino said with a sigh. 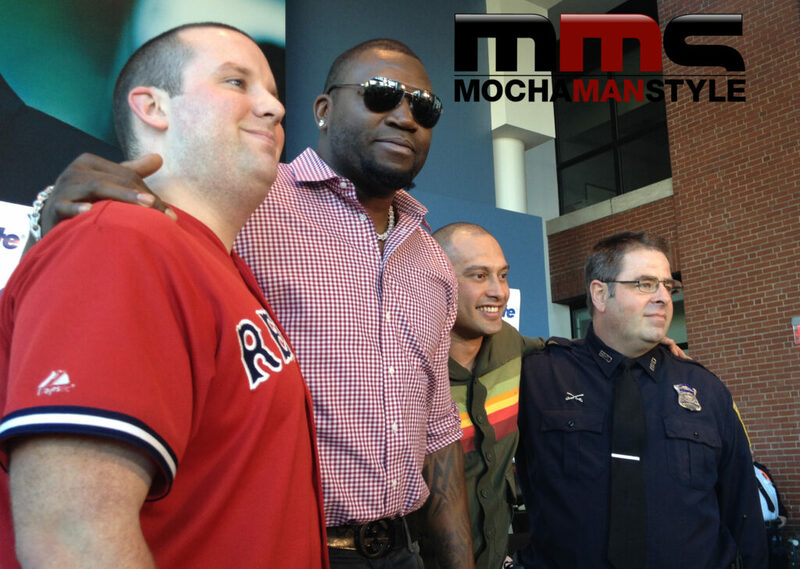 After Victorino and Ortiz finished their shaves, two more Bostonians – police officer Steve Horgan and fan, Michael Grant – joined them on stage to tame their playoff beards. Before the two world champions left, they delivered a message to all of the Red Sox fans. “We wanted everyone to know it wasn’t just us we were playing for in the world championship, it was the city,” Ortiz said.